Today I wanted to share a brand who is taking giant steps towards empowering women around the world. If you aren’t familiar with Sseko, they are a fashion brand which houses all of their production in Africa with the majority of production in Uganda. Their mission is to provide quality jobs for the women in these communities and to help them pursue their own passions. They accomplish this by honing in on their skills and paying their employees a very fair wage which a large portion goes directly to their college fund. So far, Sseko has helped 106 women go to university and build better lives. In addition to their university program, Sseko also employs women from all walks of life to help end the cycle of poverty in their communities and build a stronger future. Sseko’s efforts aren’t just focused in Africa but also extend to the United States through their Fellows Program. 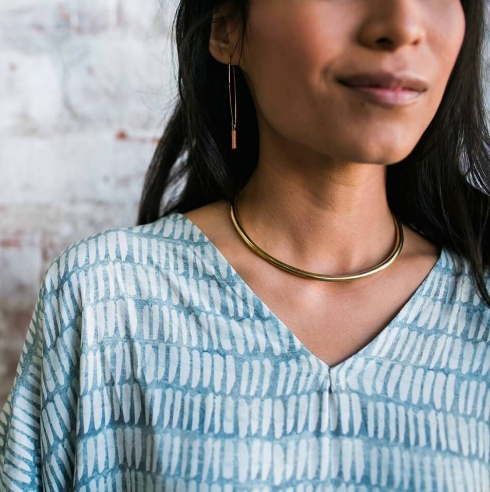 This program gives women in the US to launch their own direct sells fashion business by being and advocate and selling Sseko goods in their local communities. Every woman in the Fellows Program also gets paired with a woman on the team in Uganda! 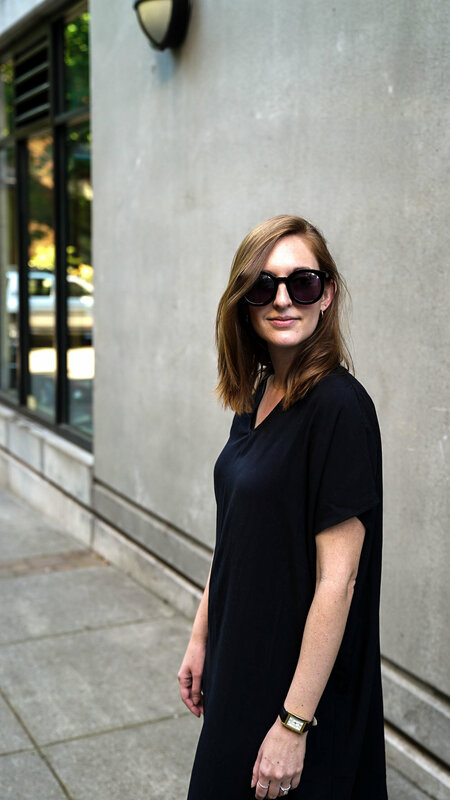 So now that you know a little more about Sseko, I wanted to introduce you to the upcoming fashion designer that I decided to help support and show you how I styled their short sleeve shift dress (sold out in black but available in a beautiful print!) and some of my favorite pieces at Sseko. Ann Maria is from Kajjari and has graduated with a degree in fashion and design. She currently works on the strap team at Sseko and her goal is to create her own world renowned fashion line! I decided to help support Ann Maria because I applaud her for the steps she has already taken to pursuing her dreams and I wish I could be a fashion designer! It’s not an easy world by any means but I hope by helping spread her name and her work at Sseko she just might get there! If you want to learn more about Ann Maria or the other ladies of Sseko, you can find more information here. | ACCESSORY POP | I thought about keeping this a solid black look but then went for a pop of “color” or in my case neutral :) I love how the bag breaks up the solid black look and is a focal point so your focus has somewhere to go. | PLATFORMS | My most worn shoes this summer by far. They bring a beautiful structure and boldness to any outfit. 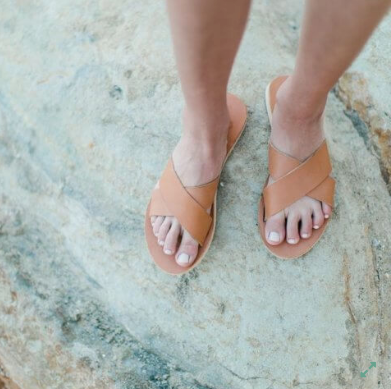 While they are a chunky and heavy shoe they don’t feel too bulky or clunky because the wide straps on top help balance out the thickness of the platform. Overall big fan and Sseko actually offers a very similar pair! | THE SHIFT DRESS | I totally realize this isn’t a style tip but I had to talk about this dress. Normally one size fits all pieces kind of freak me out but this garment is a stunner. It drapes so beautifully and is super lightweight making it insanely comfortable for hot summer temps. I’ve dressed it up for date nights or worn it just like I am in this post for running errands or going window shopping with friends! Obviously I love these because they look exactly like my 90s vintage ones! Perfect for carrying all of your goodies from place to place and big enough to fit a 13" laptop! I've been eyeing this choker for a while now. Bold minimal accessories are my favorite and this one is perfection. As always, thank you for stopping by and if you're looking for any pieces to add to your closet I encourage you to check out Sseko! This post is sponsored by Sseko. However, all opinions are my own. I decided to work with Sseko because I applaud their efforts for helping communities around the world and for empowering women to pursue their dreams. Also, this post does contain affiliate links and I will receive a small commission if you shop through those links. Thank you for supporting the brands that support The Thoughtful Closet!